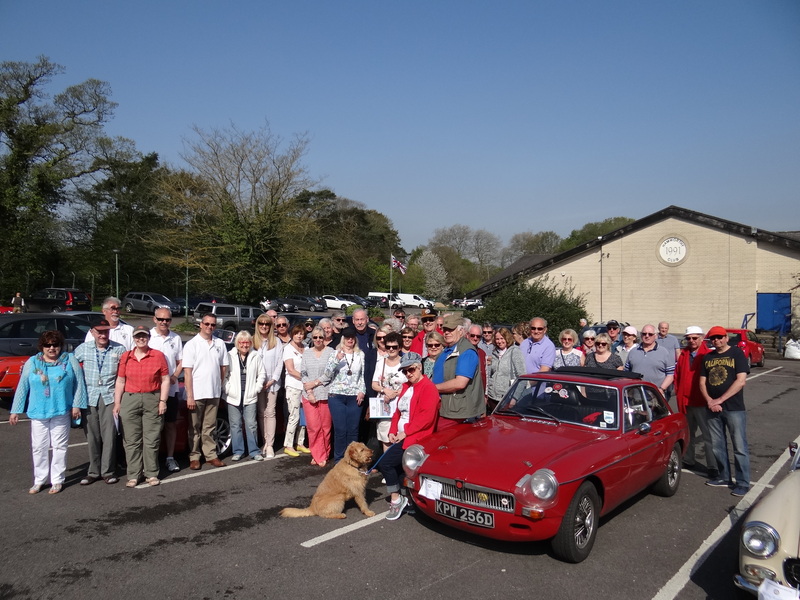 Our spring run coincided again with National Drive it Day, starting from the Hamworthy Club we made our way through 46 miles of glorious Dorset countryside ending up at the Sixpenny Brewery for a served Hog Roast. Around 40 cars took part in the run and 65 members enjoyed the hog roast which was prepared and served to us by Tony and Rita Field. The food was delicious and the beer produced by the brewery was tried and approved by members, many of whom are real ale lovers. Ursula and Pip Bonner liaised with the hog roast supplier and the brewery and deserve our thanks for their organisation. We also thank Dave Bailey and George Parrott who once again came up with an interesting route. 1020 ready for the start of the spring run and hag roast.